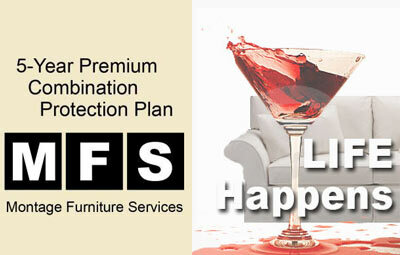 An MFS Furniture Protection Plan gives you the freedom to live comfortably on your new furniture without concern over life's little mishaps. When a problem occurs, our experts are there to restore the beauty of your furniture or provide you with a new replacement at no cost to you. A simple phone call or e-mail does it all. We'll help you keep your furniture looking beautiful and your mind at ease. If furniture can't be fixed, it will be replaced free of charge. Best of all, much of the burden is off your shoulders. We'll help you with spots, spills and other ugly little surprises you might encounter. Relax. Enjoy your family. Enjoy your guests. We'll help you protect your investment in your beautiful new furniture. Our reputation for quality is the result of over 20 years of experience servicing furniture protection plans and home furnishings warranties in the USA and Canada. You can count on us. Count on the best service in the business. * These conditions may be covered by the furniture manufacturers warranty, in which case the coverage provided by this plan will only take effect after the manufacturer's warranty coverage has expired. * These conditions may be covered by the furniture manufacturer's warranty, in which case the coverage provided by this plan will only take effect after the manufacturer's warranty coverage has expired.